If you follow the news at all, even casually, I imagine you’ve heard about the whole NSA/phone records drama that came out at the end of last week. This is not a political blog (uh, duh), and I don’t intend to get political about this, but the whole incident has made me think a lot about something I had been thinking a lot about anyway lately: privacy. For whatever reason, one of my elementary school memories features me on the playground, swinging to my heart’s content, and saying the phrase, “None of your beeswax,” to someone in my general vicinity. Obviously as a seven or eight year old, I imagine I was saying the phrase more because “beeswax” sounds like “earwax” which teehee! Body things! is always funny when you’re a kid. But I knew the phrase was a turn on “None of your business,” and I know I knew what that meant, even when I was little: it meant some things about my life weren’t for others to know. I wonder, though, how relevant that phrase–or anything else related to privacy–is in our world today, and it has nothing to do with the PATRIOT Act or wiretapping or court ordered phone records or anything else the President, Congress, or anyone else in Washington, D.C. has been interested in since September 11. It has everything to do with the Internet. My sister and I were talking about all of this on Memorial Day weekend (so about two weeks before Edward Snowden leaked anything to The Guardian), and I contended that the second anyone is willing to put their full name on the Internet is the second they give up their right to complain about privacy. Now, obviously, there’s a difference between consciously putting your personal information on the Internet and then complaining about people violating your privacy and having Verizon hand over your phone records to the NSA, but it just fascinates me how up in arms we’re willing to get about anyone doing anything that feels like a violation of our privacy while it seems so many people are so willing to do the exact same thing to someone else. Have you ever Facebook stalked someone you’re not friends with? Gone through the Twitter feed of someone you don’t know or don’t follow? Looked up the LinkedIn profile of someone you don’t work with or probably never will work with? Googled someone? Is that not a violation of their privacy? When I met with my personal trainer for the first time, literally within 30 seconds of meeting him he mentioned my job, which I had never told him about, and followed it up with, “I Google stalked you.” The other day I was responding to a request to connect on LinkedIn and saw someone I had met once in my life had attempted to view my profile. Both of those situations made me feel like my privacy had been violated — but had it? This was information I willingly and knowingly put on the Internet–the Internet that the entire world has access to. Anyone could look that information up. Do I really have the right to feel like my privacy had been violated when both of these people had done things that I, and I imagine most other people, have done at one point or another? Seems a bit hypocritical, if you ask me. Hilarious irony of Snowden going on the record saying he doesn’t want the things he says to be recorded aside, I’ve got to be honest — I think that ship has sailed. Maybe not for everything a person says and does…but only maybe. I know nothing about Snowden other than what the news has said, so I have no idea what kind of social media user this guy is, but think about it. Every meal you Instagram, every check-in you make on FourSquare or Facebook, every tweet you send, every status update you make, every workout you log: that’s all recorded. Is it literally everything you do and say? Probably not, but I’d wager a guess that for some people, it’s pretty darn close. Do I want to maintain my privacy? Of course. I lock down most of my social media outlets quite tightly, and I censor the ones that aren’t locked down. I employ a variety of practices on this blog to keep you from knowing more about me than I want you to. There’s clearly a difference between willingly handing someone your information and having someone find out your information without your knowledge or consent, but I think in this hyper-connected, Internet-driven, social media-obsessed world we live in, privacy, more often than not, seems to be more of an illusion or lie we tell ourselves than a reality. What do you think? Do you think privacy still exists? Note that this is not so much about a right to privacy, which I would agree everyone has, so much as it is people’s willingness to give up that right, or at the very least severely compromise that right, by putting so much of their personal information online. It’s also not about whether or not what the Obama administration has done is right or wrong, so good heavens, don’t turn this into a government-bashing debate. Thanks for your insight, and you raise a good point about not being able to control what other people post. I really think that venn diagram I ran across hits the nail on the head — it’s incredibly tough to maintain privacy in a world with the Internet. What about medical information? For the most part, that type of information is not readily available on the internet unless someone writes a blog post about their own situation AND uses their full name. I don’t necessarily want people to know my full address or phone number just by Googling my name. Where I work? What city I live in? Some of that comes with the territory of trying to also make a name for yourself in your career. As for the whole handing over my phone records bit, after working for the court system for six years and assisting with opening many, many search warrants and subpoenas I know that it doesn’t take much to get information that companies keep on their customers. There is a part of me that figures if I share information it’s going to be discoverable at some point. The only way to avoid it is to live off the grid. That’s a good point about medical information, though again it goes along with the whole what you choose to put online vs. what you choose to keep offline thing. Obviously if I chose to post a detailed account of every doctor’s appointment I’ve ever had, I couldn’t really get up in arms about people knowing the details of my medical history since I chose to put that information out there. I think it’s interesting–and probably right–how you say if you share information, it’s going to be discoverable at some point and the only way to avoid that is by being off the grid. That certainly seems to be the case as time goes on! Wow, very interesting thoughts! I’ve really struggled with privacy being a blogger. It’s hard to want to have a blog but also remain safe and omit certain information. It’s scary to think that people could probably stalk you enough through social media/blogging to figure out way too much about you, if they tried. I like the diagram, lol. The crazy thing is, you don’t even have to try that hard to find out a lot of people’s information. There was a PSA a while back of this “mindreader” who could figure out a bunch of people’s information from the most basic information they told him — in reality there were a bunch of computer hackers working behind him who could find out things like credit card numbers, medical information, etc. just from the basic stuff people said. Crazy! You bring up a lot of good points. I think as long as people are conscious of what they put out there, it’ll be fine. Like, are you really so important that everyone will want to look up your home address and stalk you? Probably not. 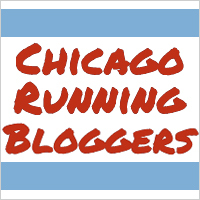 I sometimes worry about this because of the blog, but I make sure I don’t photograph a lot of my running routes and my house or neighborhood. Otherwise, I have nothing to hide. Nothing I’m doing with my time is earth-shattering. I don’t know why people are freaking so much about this whole privacy thing (especially in Facebook comments. Do they get the irony?). I think people just get up in arms when they feel like their privacy is being violated, even if they don’t realize that some of the things they do put them at risk for having their privacy violated. Like Erin said, the only way to completely avoid having your information tracked is to go completely off the gird, which isn’t particularly reasonable in today’s world. So so so agree. You will like the article I linked to on my blog today. I was thinking the same thing – we put so much out there, willingly, already… why is everyone up in arms? If people care so much, quit putting it out there! It’s so so so easy to stalk and find info about people online. I have found people’s addresses this way (to send them surprise packages, of course) and it’s super easy to set up google alerts to find things too (until google gets rid of that, like everything else). Besides things that people want to keep private, they should also think about the presence they create online and who sees what they read. Just because you talk smack about me NOT on my page doesn’t mean I won’t stumble across it! LOL! Oooh, thanks for directing me to that article! It is insanely easy to find information about people online, even when they don’t consciously spell out their whole life online. Sometimes I think people just enjoy being blissfully ignorant about how much information about them is freely available to anyone and everyone, and having that ignorance shattered can be unnerving. I think that venn diagram hits the nail right on the head. I have a pretty unique name (I’m pretty sure there is only one of me in the world) so when you google me, yeah it’s all me. I try to limit what I share on the internet in terms of where I live and where one could find me most of the time, but I’m sure it wouldn’t take a super-sleuth to figure that out too. I think privacy is mostly an illusion now. I also feel like there are some people who are both angry that their privacy is being invaded but upset because the government should be able to pick out terrorists better. I’m well aware that I am sacrificing my privacy so others can be monitored. Ditto with the name thing. I’m certainly no John Smith. I think there’s one other person in the world with my name, which I makes me a little more conscious about what I share, since almost anything attached to my full name will be attached to me.